Nothing like home for the holiday’s. Rather it is a cozy gathering of family or traveling to go see family, there is nothing like that home for the holidays feeling. This year we are having family traveling to see us because it is a special year. Our oldest CSI Kid is coming home after living and serving a mission in another state. So, our home will be filled with family and we are so excited to have our family back together. 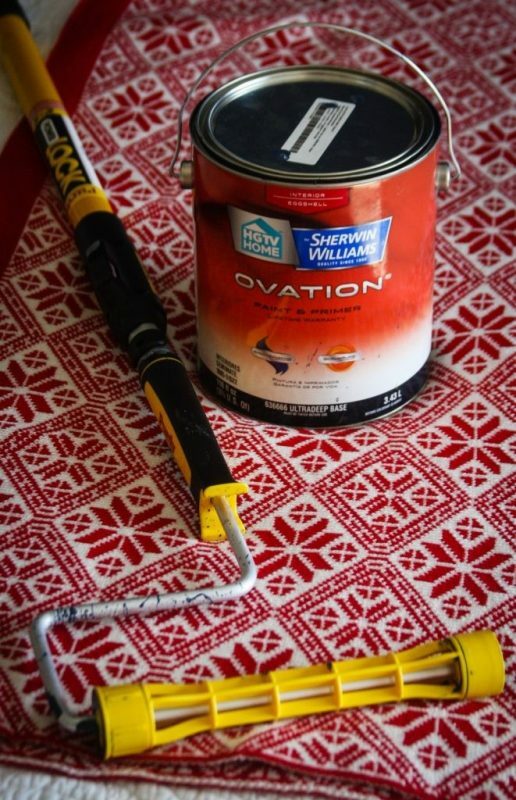 I had the opportunity to team up with HGTV Home, Lowe’s and Purdy Professional Painting Tools this year to get my home, holiday ready for my guests. Here are my top 3 Ideas on how to get your guest room ready for the holiday’s. Never underestimate the power of fresh paint. I decided to paint one wall in my guest room with the hope that it would energize the space. I picked a darker blue color because I knew it would look good all through the year. The exact paint is HGTV Home by Sherwin Williams. You can get your own at Lowe’s. I got Ovation Interior Eggshell Tintable White Latex-Base Paint and Primer in One. The color is Indigo Batik. I love how just by adding color to one wall that the room now draws you in. When you walk in, the painted wall is what you see first so it is now a focal point. It has brightened the space and I feel that it is a strong element in the room. Another tip is to go bold if you are only going to paint one wall. Blue with white trim is actually very classic combination and looks great with any décor. Let’s talk about that paint for a second.I recently painted another wall in my home and I used just a paint brush and a different brand of paint. It took a lot longer to paint and my paint did not go on smooth. For this room, I was provided a POWER LOCK Professional Grade Extension Pole and roller from Purdy. I can’t even tell you how great it was to use it. I could extend it up or bring it down for close up and the roller made the paint go on so smooth. It also covered the wall so well that only 1 coat was needed. I am so impressed and won’t use anything else from now on. I love how the blue pops with the white trim. Don’t you? These days, when we go somewhere new what is the first thing you want to know in any hotel or home you go to: WIFI! So, I decided to create a small space to add some Christmas touches and I could display the wifi password. 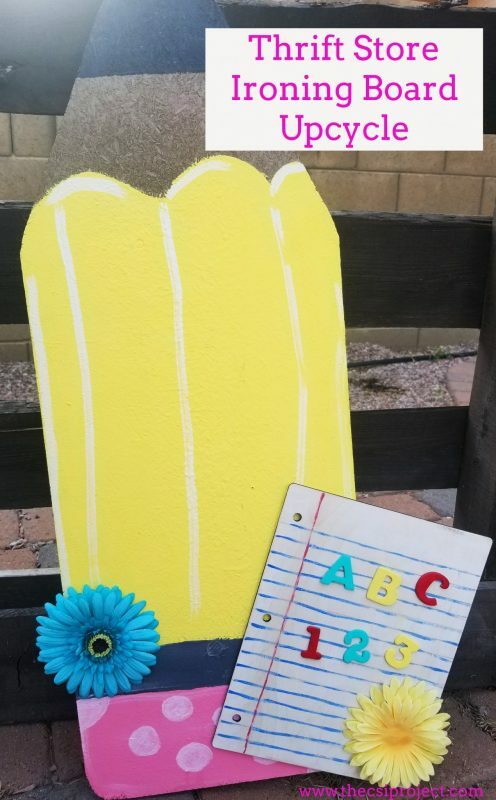 I took a cute chalkboard from Hobby Lobby and just wrote it on there. I also added some hot chocolate packs, Hershey kisses and candy canes. Those mugs are from Target and I just adore them. I also added some stockings that we can fill up with extra soap, toiletries that our guests may need. Maybe even some treats! Since it is Christmas, I decided to add some linens that are Christmas-y! I added Christmas pillowcases and pillows. With a white bedspread, it was easy to pair the pillowcases with the bed. I also like to add extra blankets to the bed so that guests can easily get to them if they get cold. This blanket from Target is so soft and looks great at the end of the bed. I got it last year. There you have it, 3 Ideas on how to get your guest room ready for holiday guests. I think the trick to any party or hosting guests is to think about what they might need and provide it without them even having to ask, So whether that is an extra blanket, toiletries or a wifi password make everything accessible to your guests. Think about what they might need and even some things that will be treats for them. Also, don’t be afraid to add paint to your rooms to brighten them up, Painting one wall makes a big impact and energizes any room. I am so glad that I took to the time to add “life” to this guest room and I know that our family will be happy staying this holiday season. We have so much to be excited about this year! Our family will be back together at least until college starts back up but soaking up the moments and creating memories is all that matters. Happy holiday season, friends! Whatever you do or who you choose to spend them with, do it all with love and always remember to create, share and inspire! Christmas Décor from Hobby Lobby. I’m also getting excited preparing for the upcoming holiday. I like the simple touch of blue on your wall. Those pillows are so cute! I’m thinking of changing our curtains into red and green to blow some Christmas in the air.